Joseph Foy (died 1915, aged 45) – ASHLAR LODGE, No.3, A.F.& A.M. This very distinctive headstone in Bowen Road Cemetery marks the grave of Joseph Foy, a member of Ashlar Lodge No. 3 who died in 1915, aged 45. 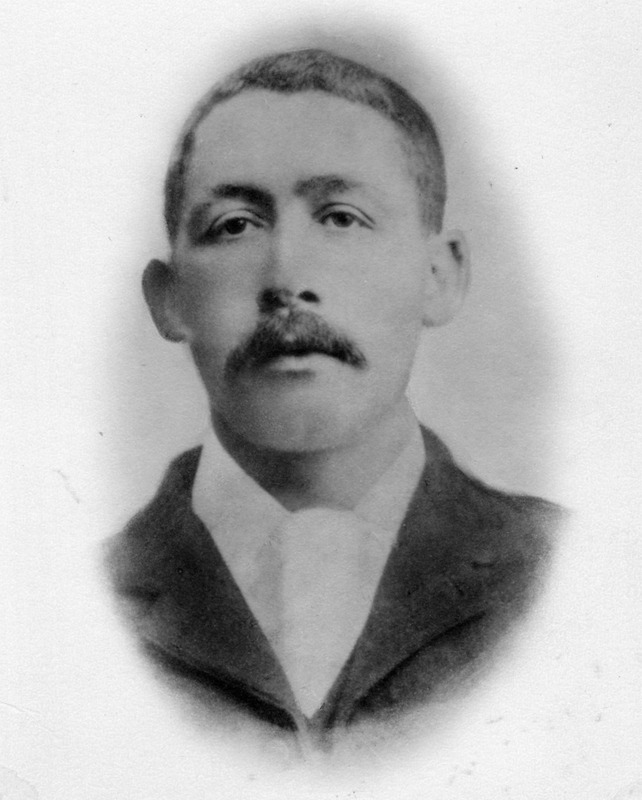 Joseph Foy was a coal mine manager who died on 9 February 1915 trying to rescue miners trapped in a flooded mine shaft. His body was not recovered from the mine until April 1915. Nanaimo, Feb 10: (Special to the Advocate) – Yesterday forenoon Fire Boss David Nillerst lit a shot in the South Wellington mine of the Pacific Coal Company’s property that resulted in the loss of twenty-one lives. Joseph Foy, manager, married, family of nine, aged 48. Robert Miller, aged 51, married, no family. There is no change to report in the situation at South Wellington mine. The level of water in the flooded mine remains just about the same and the company is bending all its energies in getting extra pumps to deal with the water. A force of volunteer helpers worked all Tuesday night to divert the course of the creek draining Beck’s Lake. It was discovered late on Tuesday afternoon that a cave had occurred in the bed of the creek just about where the old Southfield slope passed underneath. This meant of course that the workings of the South Wellington mine were flooded to the level of the creek, and until this cave-in was blocked up the water could not be pumped out. Work was accordingly carried on all night, and the course of the creek was diverted. The cave-in is being filled in, and with all surface leakage shut off, the work of pumping out the water in the mine can be proceeded with. There is a very large submerged area. In addition to the old Southfield mine and the South Wellington mine, it is thought that the waters have invaded the old Alexandra workings. The water will naturally find its level but the bulk of it will have to be pumped out before the mine can be operated again. The company is fully alive to the task before it. Two new additional pumps are being installed as rapidly as possible and it is expected that with all these workings the water will be rapidly reduced. This is all there is to do at present and the work is being rushed as rapidly as possible. There is nothing new to tell about the accident itself; but The Herald has been told some additional circumstances covering some of the incidents connected with the disaster. There is first of all the manner in which Manager Foy and Tom Watson met their deaths. Watson had escaped the flood and Manager Foy only went into the tunnel after the flood had commenced. The latter met Watson and two or three other men on the slope above the water and asked them to go back with him to see if anything could be done. Apparently he had the idea that some of the imprisoned men below might be attempting to reach safety up the counter-slope. Accordingly he with Watson and the others following, proceeded to a point in the counter-slope at which there had been an air regulator. Debouching on the counter-slope at this point was a slant to the main slope and in this slant was a stopping. It was the washing out of this stopping which caused the death of Foy and Watson. On the low side of the regulator was a drop of 3 1/2 feet, and when Foy clambered through the opening and dropped to the floor he was up to his waist in water. The jar of the jump extinguishing his lamp, and he asked the men on the high side of the regulator for one of their lamps. However just then he got a spark on his lamp, and Tom Watson climbed through the regulator and slipped into the water. It is said that at this time Foy could hear the shouts of men down the counter-slope and this explains the willingness of the men to follow him so long as there was the chance to save the life of a fellow-worker in distress. And here is what happened. While the men were going down the counter-slope the water had been backing up the main slope to a point away above the slant already referred to. Just as Watson got through the regulator to join Foy the weight of the water backed up against this “stopping” in the slant washed it out, and the wave of water simply engulfed Watson and Foy. The other men on the high side of the regulator were comparatively safe. Foy and Watson were simply smothered in a cataract of water. They sacrificed their lives in an effort to succour their fellows and their bodies are there not more than one hundred feet below the point the water is now at. Another man who deliberately risked and lost his life for others was William Anderson. He was working in No. 3 level when the flood occurred, but succeeded in reaching the main slope. Then he remembered his brother-in-law Robert Millar, who had been working down the slope lower than No. 3 level. At least he would try to warn him and the other men working in that section. He handed his coat to his partner Gourlay and started down the slope. Part way down he came across a boy tending a winch and told him to run for his life. The boy did reach safety and this is all that is known of Anderson. We will be adding more about Joseph Foy’s funeral from the Ashlar Lodge No. 3 Minute Book in the next few days. Unfortunately we have to report that the grave marker of Bro. Joseph Foy in Bowen Road Cemetery has been vandalized and defaced. Someone has put a layer of concrete over the Square and Compasses carving on the grave. We have put up a post about this and we are looking at starting a cooperative project among Nanaimo Masonic Lodges to repair the damage. The photo of the undamaged grave stone at the top of the page was taken in 2014. The defaced Joseph Foy grave stone in Bowen Road Cemetery, 14 January 2017, Note how someone has covered the Square and Compasses with concrete on the diamond shaped stone on top of the marker.